In order to promote sustainable commuting among students and employees, Tufts has various discounts available for those who decide to use public transportation. Students on all campuses can purchase the discounted MBTA semester pass through SIS. Log in to SIS, go to "Bills and Balances", and click on "Purchase MBTA Pass." Fall passes, for September through December, are purchased in July. Spring passes, for February through May, are purchased in December. Boston-based students (Medical, Dental, Nutrition Schools and Public Health Professional Degree programs): 35% discount over regular “T” prices. Grafton-based Veterinary School students: 11% discount. For more details, click here. Save money by using pre-tax funds to buy your train, bus, and subway tickets and/or your vanpool or commuter parking. All it takes is a quick online or phone order to get a pass or debit card delivered to your home every month. For more details on how to enroll in the employee commuter benefit program, please visit access.tufts.edu. Boston faculty and staff receive a 35% subsidy, up to a maximum of $50 per employee per month toward the purchase of bus, train, or commuter rail MBTA passes. The subsidy is reflected in your payroll deduction and applied to the pre-tax amount of your commuter transit election. 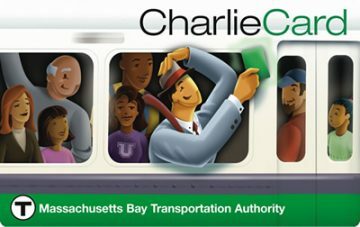 Employees on the Medford/Somerville and Grafton campuses receive a 35% subsidy, up to $40 per employee per month toward the purchase of bus, train, or commuter rail MBTA passes. The subsidy is reflected in your payroll deduction and applied to the pre-tax amount of your commuter transit election.